Developer: Toyota Motor Sales, U.S.A., Inc. 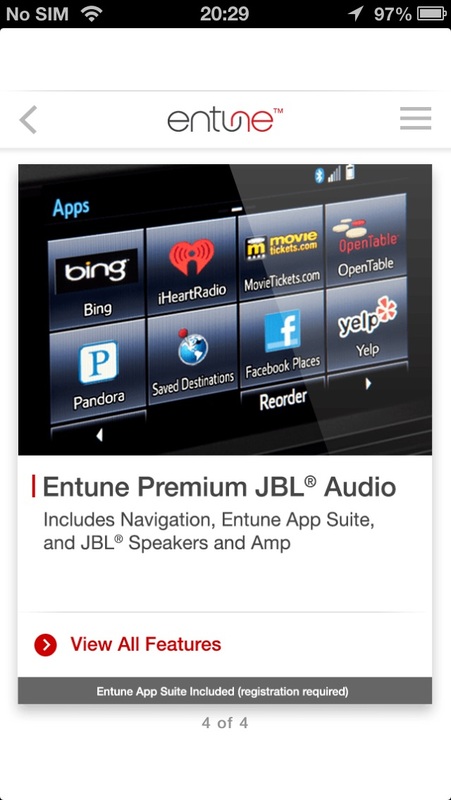 The next generation of Entune offers great features and enhancements like a Streamlined User Interface, Enhanced Voice Recognition and an available Entune App Suite on select 2014 Toyota vehicles. 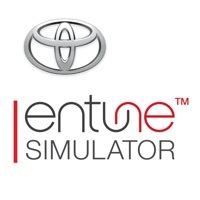 Toyota’s Entune Simulator App is a great introduction to understanding how to enjoy the next generation of Entune Audio. 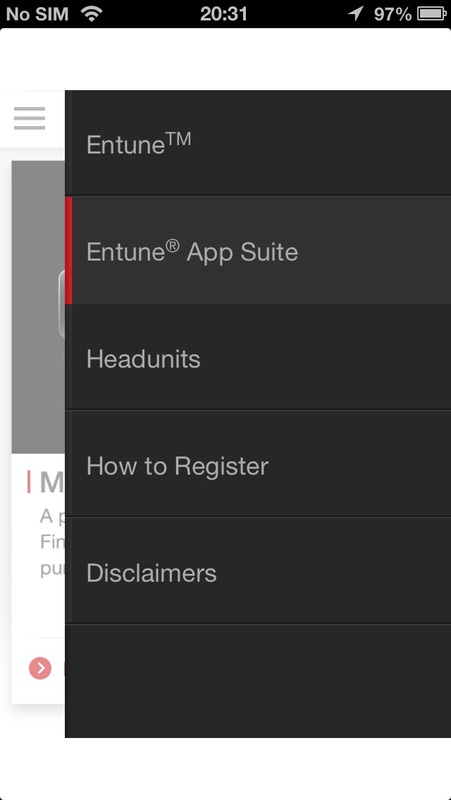 Want to learn more about Entune and the available Entune App Suite? 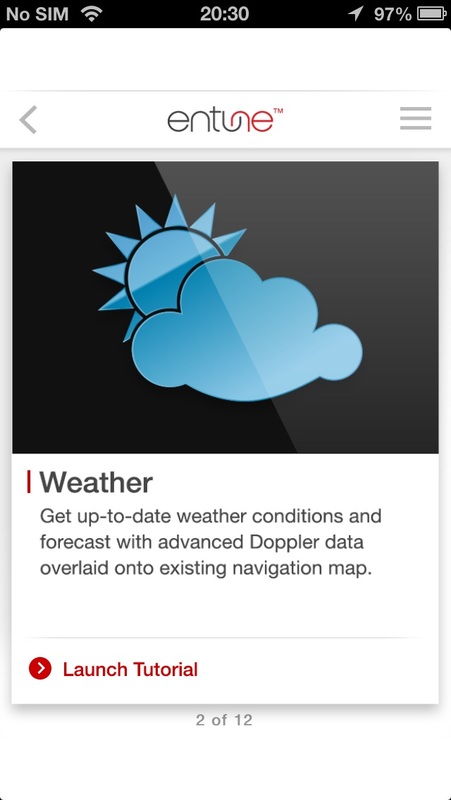 Download the Simulator App now! This Keyboard not being updated to IOS 12, makes it completely useless!! Toyota’s needs to find another app writer who keeps up in things and get rid of Entune!!! Please make an update for the Entune system. My 2016 tundra would not connect with my iPhone properly and when it does it keeps disconnecting. Pls update software to be compatible with iOS 11 and thank you. Hardly ever understands any word commands that you say to it. I have all but given up giving directions verbally to it and use only my cell phone for giving and getting directions because I don’t feel the frustration level with my cell phone that I do with my car. Couldn't understand why Toyota sticks to such a crappy piece of app that unbelievably lowers the value of a Toyota car. I'm driving a 2017 Prius, feeling I would look like a fool if using such a last century infotainment system. Please adopt carplay and android auto. I just bought a like new 2012 Toyota Camry with the best stereo/satellite system. Guess what!!!! The radio tells me to be sure entune is installed and running. After installing, it tells me it will not work with my iPhone and iOS 11! What a disappointment. I find it inexcusable that in 2017, Toyota cannot make their entune system work with the number one selling phone in the world. My system crashes in the middle of phone calls, has crashed during navigation, making me miss a turn, and is a total safety hazard. I was told today that they know it is an issue, and are working on it, but have no idea when it will be fixed. Ditch it, and go to CarPlay, or fix it now. We live in the age of technology, and you can't make 2 devices talk properly??? This app makes Toyota look very bad. It's not been updated since 2014. It would be fine as a few pages on the Toyota website; there doesn't seem to be any app functionality. It just gets people confused as they think it's the phone app for the car. Obviously some of these bad reviews are actually reviews of the phone app. BTW, the Bluetooth connection auto playing the same song over and over again? The Bluetooth disconnecting randomly and not being able to find the music/podcasts? Still an issue on a 2014 Prius -- and there are many complaints online in the past 6 years with no good solutions. Install an app to access Bing and Pandora? Ugh. Looks like the smart move is to buy the base model Prius (maybe other Toyotas too) and use an aftermarket $500 Pearl RearVision with the iPhone and OBD port for a reverse camera, plug the phone into the USB port, and the new always listening Siri for voice commands. And of course just use that dash-mounted phone for maps and directions, podcast and music controls -- you can use your favorite apps. No subscription fees or multi-thousand-dollar headunit upsell pressure from the dealer. Toyota is never going to be able to keep their electronics and apps as up to date as a smart phone with monthly security patches and software updates. Just updated the new version and now, we cannot use voice activation to dial any number that requires *82 for unblocking caller id, etc. Workaround is to use Siri to dial via voice and then it goes through, using the onboard voice activation will not work. Please fix! After trying unsuccessfully 6 times to sync entune with my iPhone 5s, I've come to the conclusion this app is crap. I followed every direction of installation to the letter. I checked my compatibility, even went to the apple web site. I cannot sync Bluetooth, voice commands,the internet apps, NOTHING! Toyota needs to get rid of entune because it tunes nothing. For the price I paid for my vehicle it should have come with Sirius XM. I'm very disappointed! Update 6/22/16 Ok so I finally got entune to work , entune only works in the app. 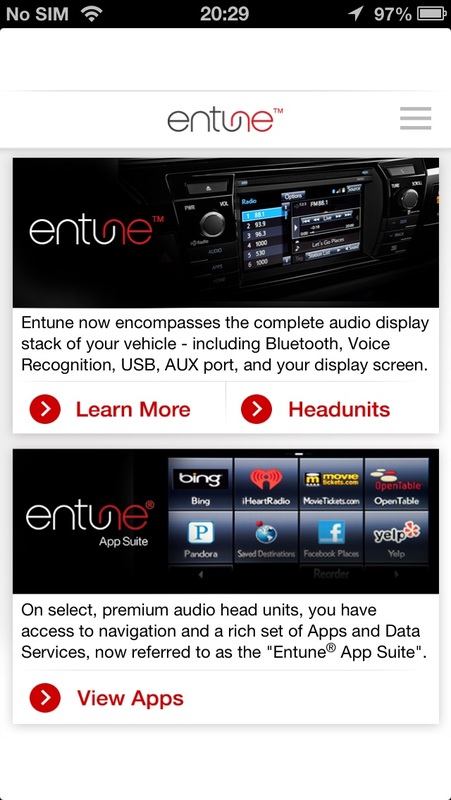 Do I have to open the entune app, plug my iPhone into the usb port of my vehicle wait for permission to use the Internet The apps included are lack luster at best. Toyota can do better than this. This is mostly an electronic flyer with a few tutorial walk-throughs for the high end Entune with navigation and app suite. There's no attempt to simulate much of anything, here, and no way to get a "try before you buy" feel for the system. Too bad; a true simulator could be a good sales tool.